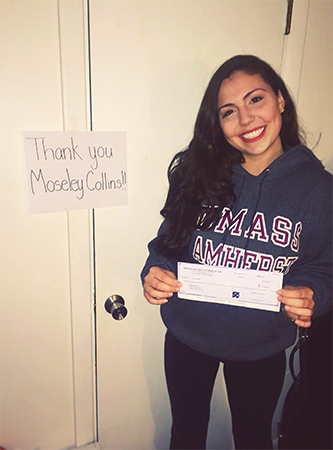 The Offices of Moseley Collins is proud to offer a $500 scholarship to college students who have been injured in an auto accident and were helped by their faith in God. Serious auto accidents are devastating to all areas of life. The personal strength it takes to overcome the physical, mental and emotional trauma associated with a serious auto accident is immense. Small obstacles become almost insurmountable. Each moment of the day is a battle to complete. That is when our faith in Jesus Christ is most valuable. He helps us overcome. Every day we hear these cases of devastation we vow to help restore hope and help these students get a new start on life. In our quest to aid these strong faith filled students in their struggle, we are proud to offer a $500 annual scholarship. Applicants must be at least 18 years old, a U.S., citizen and a college student with at least 2.0 GPA who has sustained and recovered from serious injuries due to a car accident, truck accident, motorcycle accident, or big rig accident. To enter, applicants must write an essay on their experience. The essay must be at least 250 words. Selection is based on the essay as well as the struggle the applicant has faced in the recovery process.